AS Downton Abbey closes its doors for the final time, we take a look at how this British costume drama achieved global acclaim. Downton Abbey brought a format often only seen on networks like the BBC in Britain, and ABC in Australia, and made it accessible to everyone. “I think one of the things that Downton has done, is explode the myth that period drama has to be highbrow or in the literary genre,” says Executive Producer, Liz Trubridge. Even though the storylines are set in a bygone age, viewers can relate to what characters are going through. And having gorgeous sets and costumes makes it all the more fun. 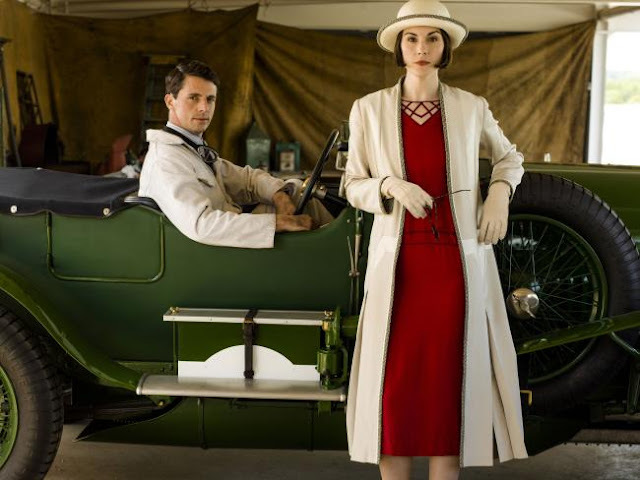 “I don’t think it’s overstating it to say that Downton has taken a much-loved British genre — the period countryhouse drama — and given it a complete overhaul for the 21st century, borrowing from the compelling storylines of soap opera to the quality writing and production values of contemporary U.S. television shows,” says Executive Producer, Gareth Neame. Shows like Mr Selfridge and Ripper Street — both successful series that have premiered in the past few years — owe much to their predecessor. Downton is a British format that found an audience in the States — not the other way round. In the process it was a game-changer for US networks and producers, who realised there was an audience for this type of drama. Fellowes admits the show’s success took him by surprise. “That was a rather extraordinary moment: to realise you’d written a show that was reaching parts [of popular culture] that other shows don’t reach,” he says. The series finale was watched by 9.9 million viewers in the US, and was nominated for an Emmy award every year it aired. Everything about Downton is on a grand scale, from the setting — beautiful Highclere Castle, where it’s filmed — to the costumes, set dressing, and even the storylines. Downton’s six series span one of the most tumultuous decades in modern history. Everything from the introduction of electricity and the automobile, to the First World War and the Spanish flu is covered — and that’s just for starters. Producers never shied away from tackling political and social issues too, talking about everything from the rise of fascism in the 1920s, to the establishment of the women’s suffragette movement.